When you purchase a SQL Spreads license, you will get your License Key in an email immediately after the payment has been made. 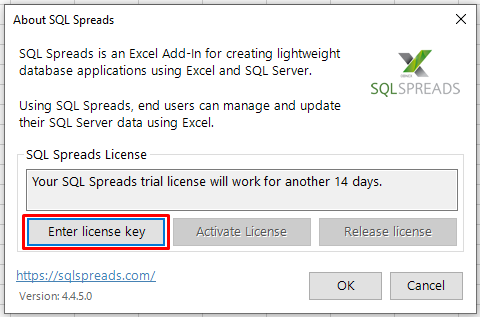 When you entering your License Key into SQL Spreads, you will have a 15 day time period to activate the license, starting at the day when you enter the license key on the machine. 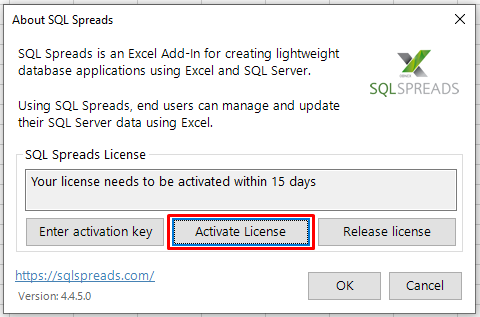 You can still activate the license after those 15 days, but you cannot use SQL Spreads after those 15 days without activating the license. 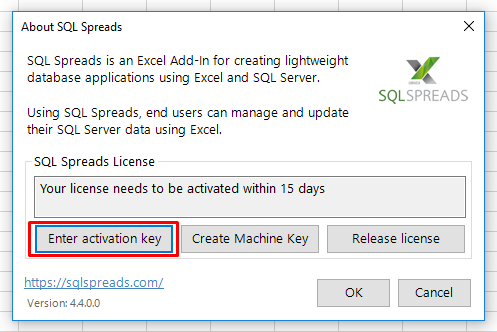 Click the Send Email button to send your machine key to license@sqlspreads.com. Within a day or two, you will receive your machine specific Activation Key.